Posted February 16, 2018 by Charles Morris & filed under Features, Vehicle Features. The smart isn’t for everyone, and it has never pretended to be. The media buzz these days centers around the trendy trio – Model 3, the Bolt and the new LEAF, each of which aspires to be “your affordable, every-day, one-and-only car,” as Motor Trend recently put it. The smart does not aspire to any such universal appeal. It’s a short-range city car designed for getting around dense urban areas, and its designers have given it many features intended to help it excel in that role. Skeptics of EVs often dismiss them as “niche vehicles,” forgetting that many useful and popular vehicles fit that description. Neither a pickup truck nor a Corvette would be the optimal choice for an everyday family vehicle, and yet neither seems to have a problem finding buyers. In the US, where most affluent families own more than one car, it may make perfect sense to have a small, efficient runabout for urban errands, and something more spacious for big-box visits and road trips. And dwellers in dense cities around the world may find a nimble city car to be quite adequate as their only vehicle. Your correspondent attended a Daimler media event at which we got to drive the new smart around the urban core of San Diego, and it turned out to be the perfect locale to demonstrate the smart’s advantages. Until I experienced it, I had never imagined how much easier it is to negotiate congested city traffic in such a petite car. One glides nimbly among the herds of trucks and SUVs, like a tiny mammal dodging the feet of dinosaurs. There’s always a parking space available, and you almost never need to shift into reverse – just turn the wheel and zip off in your desired direction. Make a wrong turn? No need to go around the block – just check the mirror and do a 180 right in the middle of the street. The smart’s city-specific features don’t end there. Like a streetwise city kid, the smart is designed to take some knocks. As Keith Edwards, Product Manager for smart USA, explained to Charged, most of the body panels are made of a special plastic composite that’s almost impossible to dent. “People are going to come by, bump against it, generally kind of bang it up, especially in tight parking situations, but you don’t have to worry about that, because all these panels…are this composite, so you can hit it all day long, and it’ll bounce right back into shape.” With the exception of the metallic colors, the color is infused throughout the material, so even if a panel gets scratched, the damage should be all but invisible. There’s no DC fast charging option available, but in a way, this lack of a feature is a feature. For road trips, you’ll be taking another car anyway – apart from the range, who wants to ride 500 miles in a two-seater? – so it makes no sense to spend the money (and weight) for fast charging circuitry. The smart fortwo was the brainchild of Nicolas Hayek, the Swiss-Lebanese mastermind of the Swatch, who originally conceived of it as an electric vehicle. However, electric drive didn’t turn out to be feasible in 1998, so the first generation debuted with a gas engine. It was only in 2006 that battery technology had advanced to the point that Daimler began work on the smart electric drive, which came on the market in 2009 (with batteries from Tesla – see sidebar). The smart electric drive (ED) reached US buyers in 2013, but never exceeded compliance-car sales volumes – its best year was 2014, when 2,594 were sold (according to InsideEVs), and annual US sales have since dwindled to the three figures. It’s been a different story in the rest of the world – 2016 global sales were over 144,000. The smart is one of the better-selling EVs in its home market of Germany, where some 2,000 were sold in 2017. Last February, smart announced that it would stop selling gas models in the US and Canada, making it one of only two EV-only brands in North America. The brand plans to phase out gas models in Europe as well over the next year. The 2018 smart fortwo is superior to its predecessor in several ways. 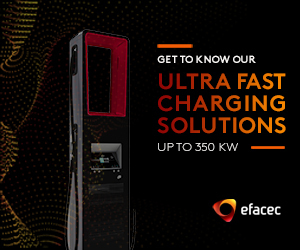 The charging rate has been increased from 3.3 kW to 7.2 kW, and charging time has been cut in half: a prompt 3 hours from flat to full. An 80 hp motor drives the rear axle using a single fixed gear ratio. The available torque of 118 lb-ft is a 23% increase over that of the previous generation. The smart’s electric motor was jointly developed as a part of the Daimler-Renault partnership, and is produced at Renault’s plant in Cleon, France. The vehicle comes together in Hambach, France, using largely German-sourced parts. This includes the battery pack, which is built by Deutsche Accumotive in Kamenz, Saxony. Deutsche Accumotive, which Daimler acquired in 2014, is now the sole battery supplier for Mercedes-Benz and smart, and is believed to be the only company currently assembling battery packs in Germany. Daimler recently announced plans to invest €500 million to construct a second battery factory in Kamenz, which will quadruple production space to 80,000 square meters. The 2018 smart’s 17.6 kWh battery pack features a liquid thermal management system. Located under the front seats, it is supported by a crash-absorbing frame made of high-strength steel tubes. The user-selectable Eco mode reduces the amount of energy drawn from the battery, and reduces the output of the climate control system. Pre-conditioning allows the cabin to be heated or cooled while the smart is still plugged in. The smart may be small, but it comes with most of the high-tech bells and whistles we’ve come to expect, including a color 3.5-inch touchscreen (optionally upgradable to a 7-inch); a rearview camera; driver assistance systems such as Crosswind Assist (standard) and Forward Collision Warning (optional). A retro-looking analog power meter displays the state of charge as well as the current level of energy consumption or regeneration. A sound generator broadcasts a warning sound to pedestrians, which is audible below about 18 mph – above this speed, the sound is automatically masked by rolling noise and wind noise. There are three trim levels: the base pure trim line offers a choice of black cloth or man-made leather upholstery. The passion line adds more color combinations, a leather steering wheel, height-adjustable driver’s seat, electric and heated side-view mirrors, retractable cargo cover and 15-inch wheels. The prime line adds a sunroof (for the coupe variant), ambient interior lighting, heated seats, rain-sensing wipers and LED running lights and taillamps. Starting at $23,900 before federal or state incentives, the smart electric drive is by far the cheapest EV available in the US. Of course, there are loads of options available, and a fully-loaded cabrio can easily top $30,000. But if you can qualify for the $7,500 federal tax credit, plus a fat state incentive like California’s $2,500 rebate, you could be driving electric for around 15 grand. By now, the smart probably sounds like a paragon of practicality, the attribute that every car buyer should prize…and that few really do. But smart has always included a healthy helping of fun in its vehicles (there were reasons that people bought the gas smart, despite its surprisingly poor fuel efficiency), and the new model has plenty built in. It’s as zippy as you’d expect an EV to be, and its unique dimensions make for a unique driving experience. And if you really want fun, take a spin in the cabrio version – yes, it’s the world’s only convertible EV. At the touch of a button, the canvas roof rolls back, letting Mother Nature in. You can remove the roof bars and stash them in a handy rear compartment to open things up even more. In 2007, Elon Musk met with Daimler to discuss a deal to supply Tesla’s powertrain technology for the smart. However, with no working prototype vehicle to show, his presentation failed to convince. To win over the pragmatic Germans, the California cowboys decided to retrofit a smart car with an electric powertrain, and to present it to the Daimler execs as a surprise. This turned out to be a little tougher than they thought. The first snag was that the smart wasn’t available in the US at the time. After a bit of research, JB Straubel learned that it was sold in Mexico, and found one for sale at a dealership in Tijuana. He dispatched a Spanish-speaking friend across the border with $20,000 cash in a bag, and he returned a couple of days later with a brand-new smart. The Tesla team had only six weeks to figure out how to fit their battery, motor, power electronics and charger into the tiny smart. Straubel and his engineering team worked 24/7, grabbing naps on the factory floor, and finally got the job done at one o’clock one morning. When Straubel hopped in for a test drive, the tiny hot-rod popped a wheelie and peeled out of the parking lot. The Daimler executives showed up at Tesla HQ ready to be disappointed, but when VP Herbert Kohler got behind the wheel and zipped out into the street, the skeptical look on his face was quickly replaced by a big smile. Shortly thereafter, Daimler signed a $70-million contract for Tesla to supply batteries for what became the smart electric drive. Daimler also acquired an equity stake in Tesla for a reported $50 million, a deal which, as Elon Musk later admitted, saved the young company from bankruptcy. Considering Tesla’s dominant role today, it might not be too much to say that Straubel’s hacked smart saved the entire EV industry as we know it. Tesla learned a lot from its mentor over the course of the partnership, especially in fields such as noise and vibration reduction, safety and quality control, which it applied to the development of Model S. Daimler gained not only a boost to its battery tech, but some bad-boy internet-age mojo. A few years later, the companies expanded their partnership when Tesla provided the electric drivetrain for the Mercedes B-Class Electric Drive. However, as Tesla grew, Daimler (and Toyota, with which it had a similar partnership) apparently began to see it as a competitor, and ended its cooperation. Daimler sold its ownership stake in Tesla in 2014 – at a profit of $780 million! In 2016, having acquired its own battery subsidiary (Deutsche Accumotive), Daimler terminated its Tesla ties. This article originally appeared in Charged Issue 35 – January/February 2018 – Subscribe now. Curious as to why many Mercedes-Benz dealers will not sell them. Has anyone else discovered this and/or why? What is the battery technology? Of course, it must be lithium-based, but which lithium chemistry? I purchased this car (Nov-2017) and I love it. So fun to drive, very nice looking. It gets up and goes, but its not a Tesla Roadster, but does very well. It handles like a Corvette. Low center of gravity, nobody can follow me around a corner (I’m way too fast). Very nice interior. The e-mileage when I don’t go really fast, is up to 150e. Somewhere I read the top speed is only 78, but I have been up to 82 without breaking a sweat. I had a lot of pedal to go. Yes, the range is only 70 to 80 miles, but it great for all the around town driving that I do. I commute 10 miles to work. and am free do go see my farthermost friend. It does qualify for the $7,500 credit!